Christmas classroom parties and Christmas break are right around the corner! There is going to be a lot of time to keep your kids entertained, before they have their Christmas goodies. When I was little, my mom made a matching game out of Halloween monsters and I loved it! We played it in my classroom as a traditional memory game, but when I was home I would play it and mix and match the parts of the monsters to make silly characters. I really wanted to make a version of this game for Christmas! 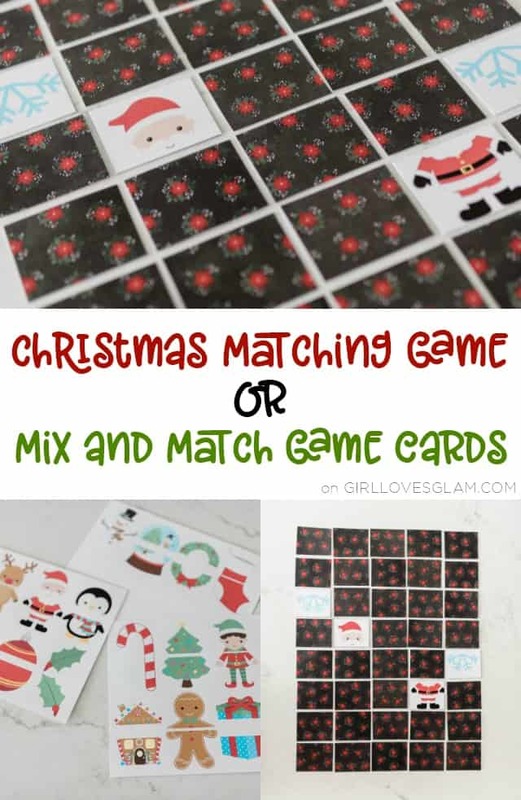 So I created this Christmas memory matching game that can also be used as a Christmas character mix and match activity too! 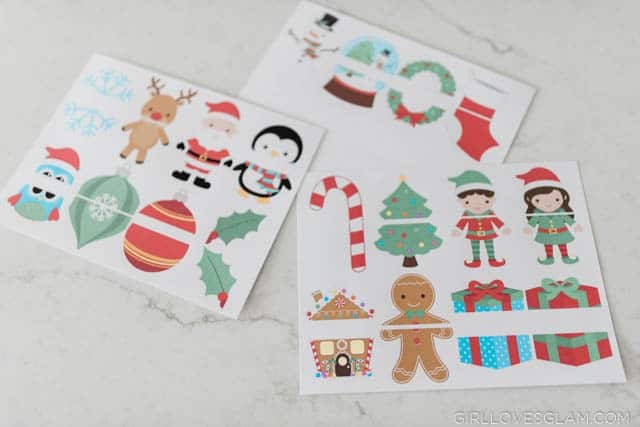 To make this Christmas matching game, you will need to print out these printable pieces on cardstock. 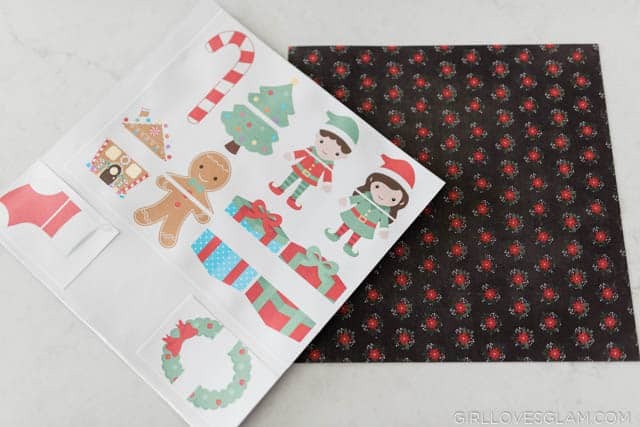 You will also want printed holiday paper and a glue stick. 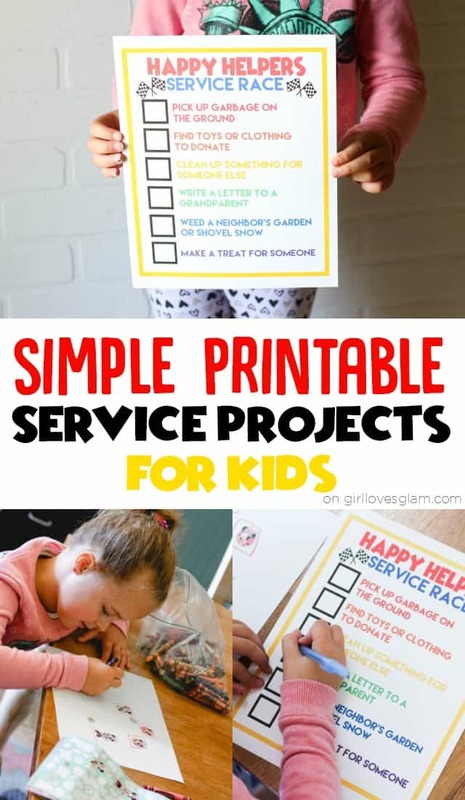 To get the printable game, click on the link below. Download the pieces and print them off. 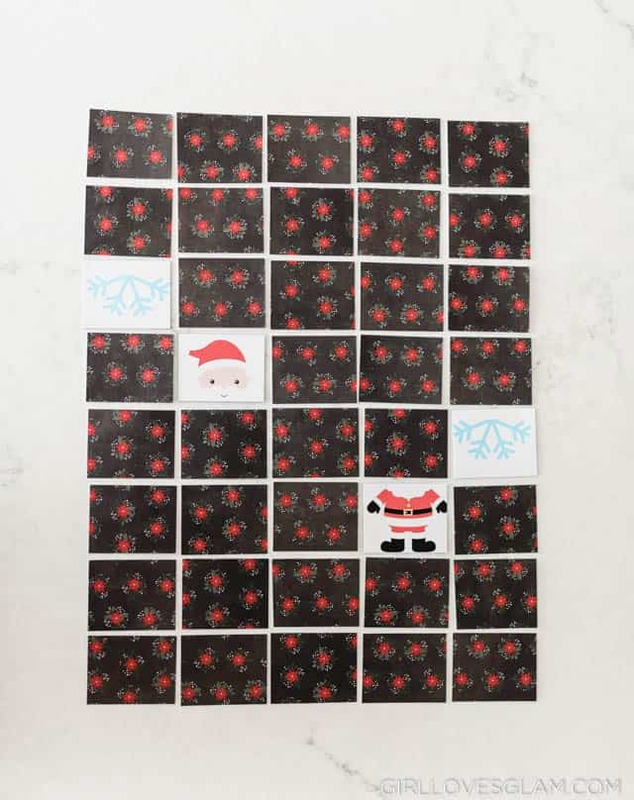 Once you print out your game pieces, you want to glue them onto a printed holiday paper so that the backing of it is all the same. After you have glued the backing off, cut the pieces apart. Now you have your game pieces! 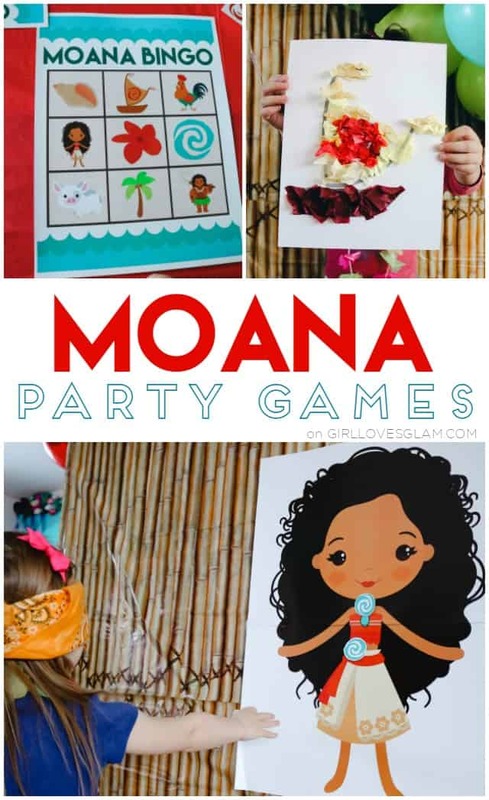 This game is so fun to play as a memory matching game or to mix and match to create fun, new Christmas characters. You will get a good laugh! 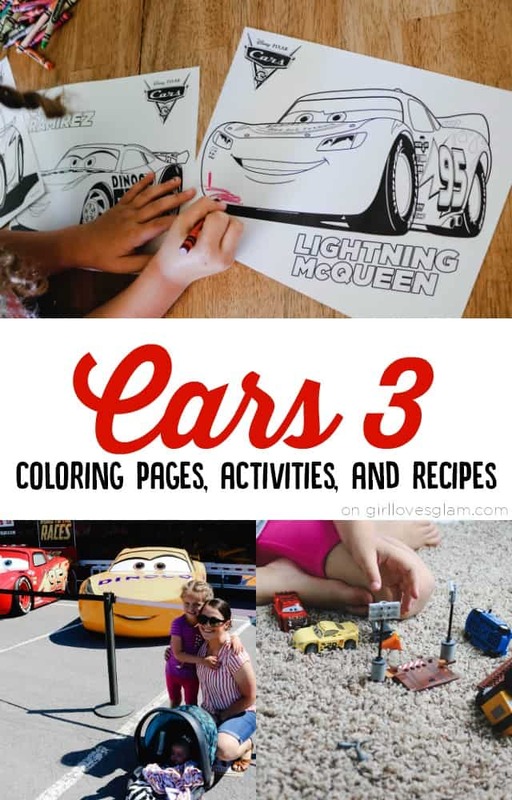 These games will keep your kids entertained for a little while! For even more fun Christmas games, check out this fun Christmas Mad Libs printable, this Christmas charades game, and this Christmas candy dice game! It is hard to believe that the end of the school year is near! 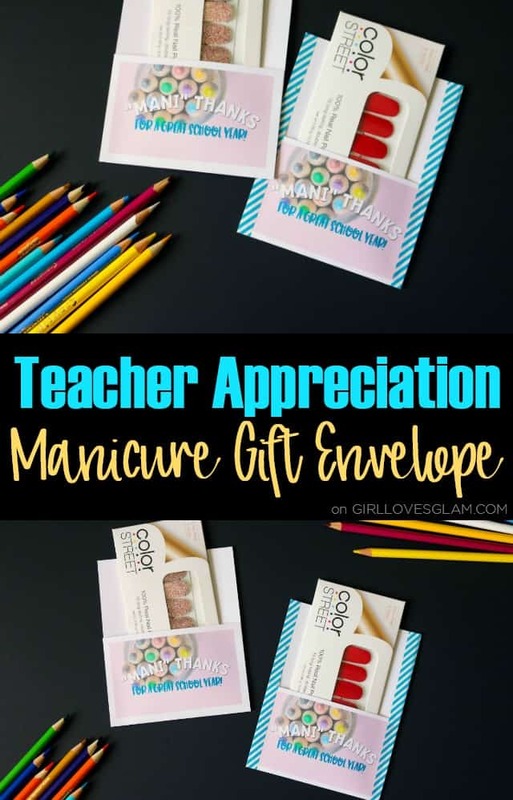 It is teacher appreciation and end of year teacher gift season! As a wife of a former teacher, I know that teachers don’t need anymore mugs or even chocolate. Give gifts that you would want to give to your friends! They don’t need to be expensive, just thoughtful. I absolutely love Color Street nails for that exact reason. 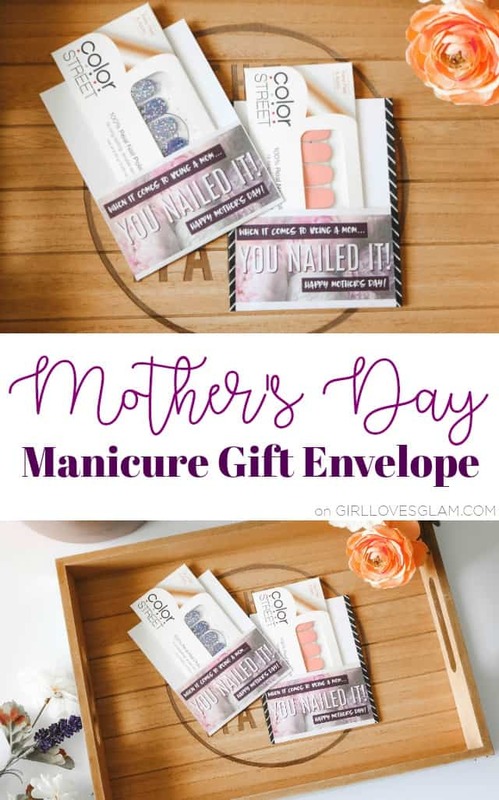 They are 100% nail polish strips that last longer than traditional nail polish, are super affordable, and they make perfect gifts! The #BeGlamChallenge Is Finally Here! I just sent out my first #BeGlamChallenge newsletter this morning! Since this is a brand new thing, I wanted to give you the rundown here as well in case you missed it. This will only be happening this month, so if you want to continue to be part of the #BeGlamChallenge, make sure you subscribe to the newsletter! 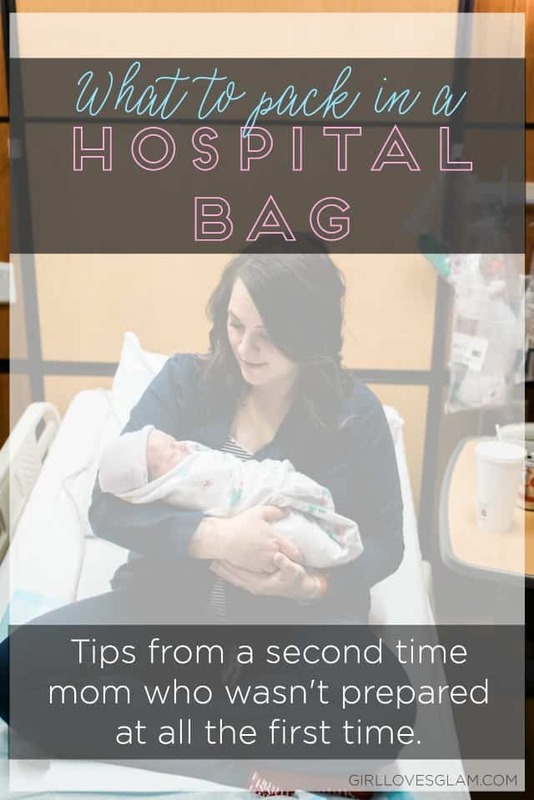 They will come at the beginning of each month and will have all of the details for the challenge each month. They are prompts to help you better yourself and really push yourself to grow. I am SO excited about it! You can subscribe here or by filling out the form on the top of the screen. I can’t describe how thrilled I am to be back! The newsletters are going to (FINALLY!) be something that I have been dreaming of doing for years. 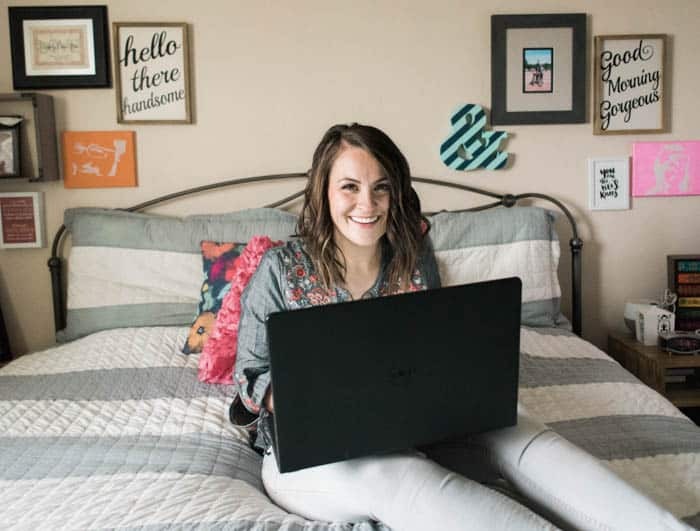 I have always wanted this to be a special space that is unique to the blog or my other social media outlets. 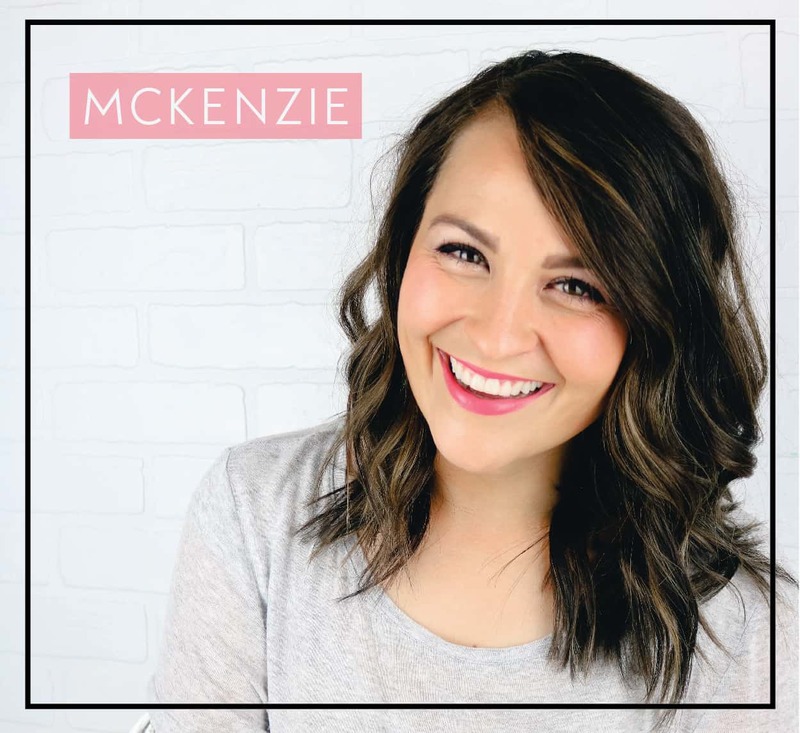 I have wanted to really create a sense of community within my newsletter and it is finally the right time to do that. Over the past year, I have really tried to work on who I am as and individual. If your kids are anything like my 5 year old, they have probably had a recent obsession with SLIME! It was all things slime all summer long at our house. So why say goodbye to this summer’s hottest goo, when you can give it away to your trick or treaters or at a classroom party this Halloween? 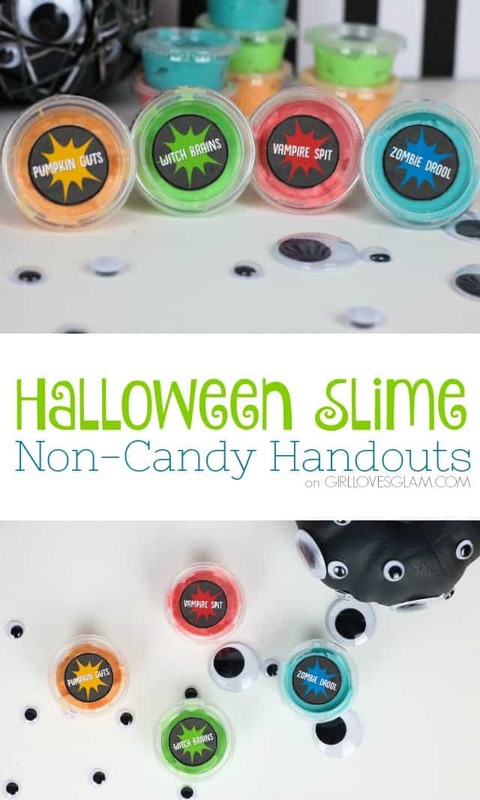 These Halloween slime jars are PERFECT non-candy handouts that you can give. Set out your teal pumpkin so that people know that you are handing out non-candy items and give the gift that entertains for hours! I love neighbor gifts for the holidays! It is a great way to show your neighbors and friends that you are thinking about them during the holidays. The holiday season can get so crazy, sometimes you aren’t able to visit friends as much as you wish, so giving a little gift is a nice way to show them that you are still thinking about them! 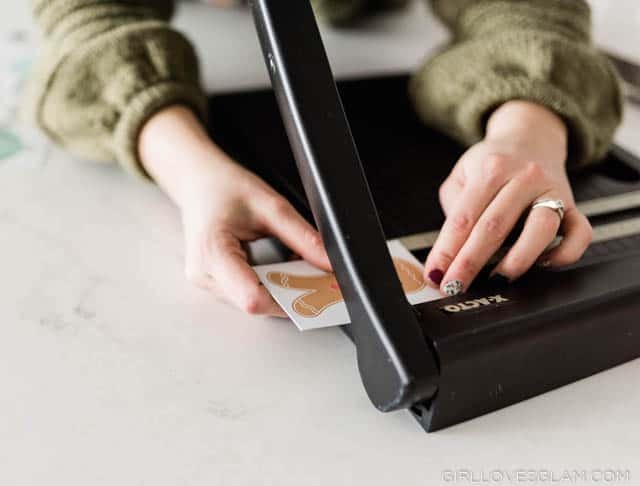 Neighbor gifts can be really hard because the price can really start adding up when you are buying for so many people and making treats for so many people can be extremely time consuming. 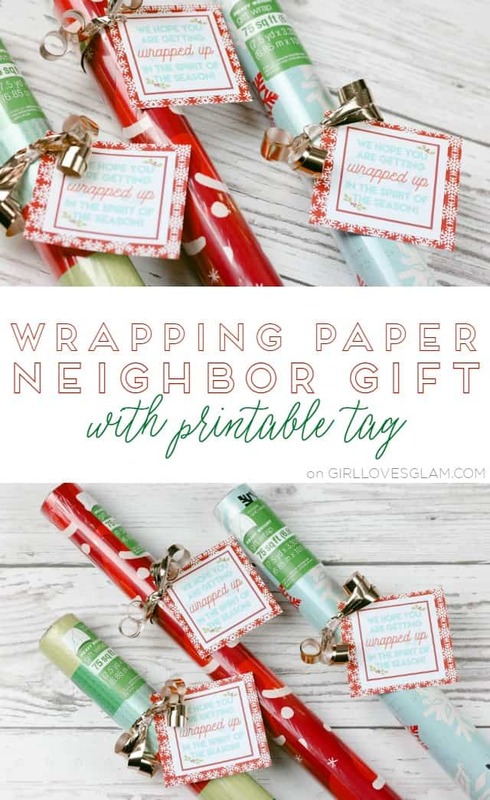 I love giving gifts that people will be able to use, which is why I loved the idea of giving wrapping paper as a gift so that they could use it to wrap their Christmas gifts this season!